This event is free, open to the public, and all skill levels are welcome. ALL Levels Flow Yoga class will be instructed by Bella Prana Studios. Start out your day by the water moving and breathing to this flowing class designed to calm the mind, challenge the body and support the nervous system. An all levels class means that anyone from beginners to advanced can attend this class and the instructor will give you options for ways to modify or intensify the poses. 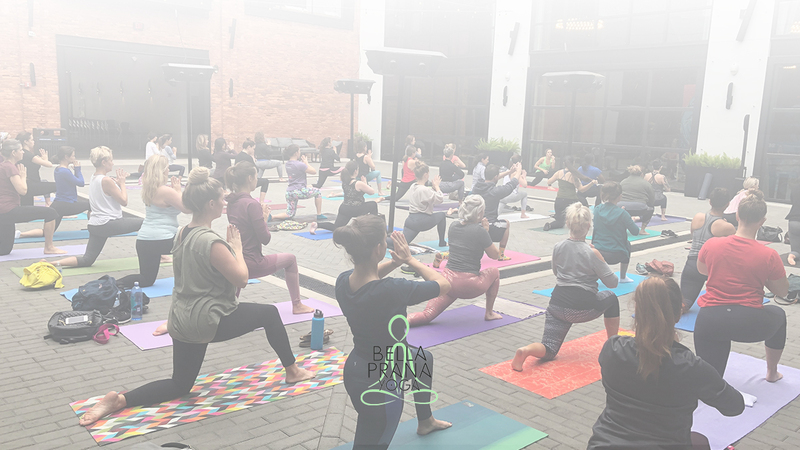 Practice yoga with your community and then grab a bite to eat at one of the 14 vendors within Heights Public Market or stay to sit outside for a coffee with friends. Please remember to bring your yoga mat, towel and water bottle. In the event of inclement weather, you will be notified if this event will be moved to an appropriate indoors location.